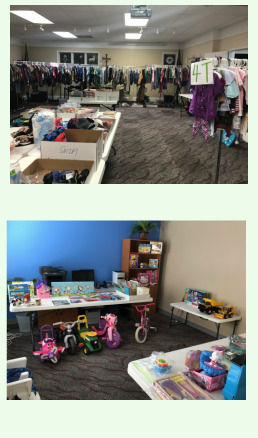 We sell new and gently used clothing for growing children (newborn to teen), costumes and dress up, nursery and children’s furniture, room accessories, baby equipment, strollers, high chairs, pack N plays, toys, books, DVDs, puzzles, games and bikes. 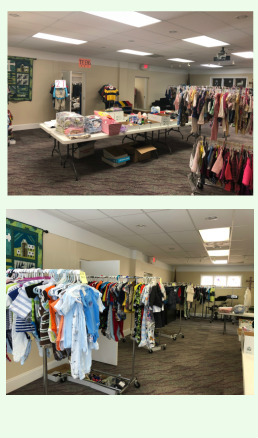 Our Teen area includes all kinds of trendy clothes, room decor, etc. for middle and high school age children. King of Glory Church New Kent is located at 9120 Pocahontas Trail (behind Rite Aid Store) at The Forge Center in Providence Forge.